The number of violent protests which erupted after the killing of Hizbul Mujahideen commander Burhan Wani has gone down from 201 on July nine to 11 on August three, the Centre told the Supreme Court today claiming that the law and order situation in Kashmir Valley has “improved considerably”. “In view of the improving situation, curfew had been lifted from most parts of the Valley on July 30”, the Centre, in a status report filed before a bench of Chief Justice T S Thakur and Justices A M Khanwilkar and D Y Chandrachud. Solicitor General Ranjit Kumar, referring to the report, said “curfew is in force only in certain areas of three districts in the Valley. However, due to persistent efforts of the security forces/Jammu and Kashmir Police, the situation has shown remarkable improvement, with the number of incidents declining progressively since the outbreak of violent protests and clashes. Compared to 201 incidents on July 9, 2016, only 11 incidents were witnessed as on August 3, 2016”, Kumar said, adding that a total of 872 incidents of violence were reported mainly from south Kashmir and parts of central and north Kashmir. He said that in these 872 incidents, 42 civilians and two security personnel were killed, while 2656 civilians and 3783 security personnel were injured. 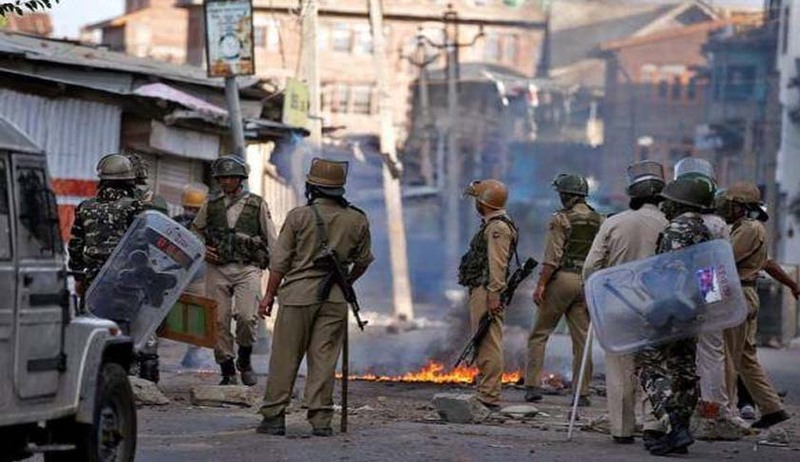 Kumar said that 28 government establishments were set ablaze and 49 such establishments were damaged and due to the violent incidents initially curfew was imposed in 10 districts out of 22 districts of the state. He said incidents of violence started after Wani and two other militants were killed by the security forces on July 8, leading to large-scale protests and law and order problems in different parts of the Valley. Supreme Court had on July 29 sought a status report from solicitor general Ranjit Kumar on the prevailing situation in strife-torn Jammu and Kashmir. Jammu and Kashmir National Panthers Party led by Bhim Singh had filed a petition in seeking direction to the governor to intervene under section 92 of the Jammu and Kashmir constitution which means a rule by the Governor. The plea was filed after the protests and violence that have taken over the state since the killing of Hizbul Mujahideen commander, Burhan Wani. Clashes between security forces and protesters have resulted in the death of several civilians and CRPF officers. The issue had also come up for discussion in both Houses of Parliament following which Home Minister Rajnath Singh said the security forces will exercise restraint when it comes to civilians but maintained that there will be no place for militancy. Curfew is still on in the Valley as it enters its fourteenth day of protest. It said that Governor's rule under section 92 of the Constitution of Jammu andKashmir should be imposed.